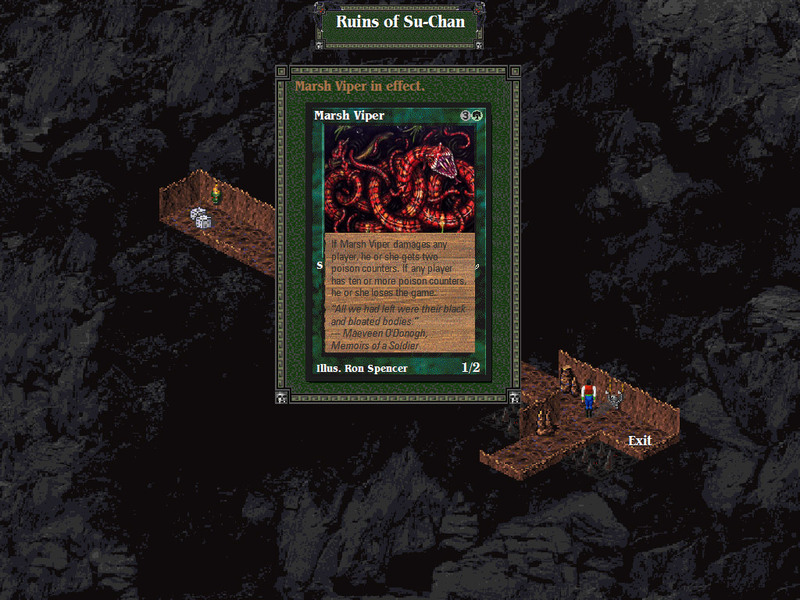 I still occasionally play Magic to this day and I have always played computer games, while dabbling with Dungeons & Dragons along the way, so the fact that Shandalar is a wonderful combination of all three things, Magic + computer + role playing game created the perfect storm. 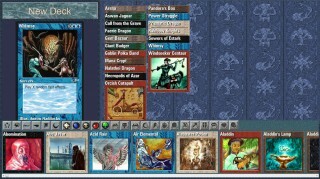 I never got into Magic: The Gathering Online (MTG:O), because for me Magic is meant to be played against a live opponent, where you can read your opponent’s body language, but a role playing computer game, based on random battles with Magic decks, that’s something I can get behind, and it was the fore-bearer to MTG:O. 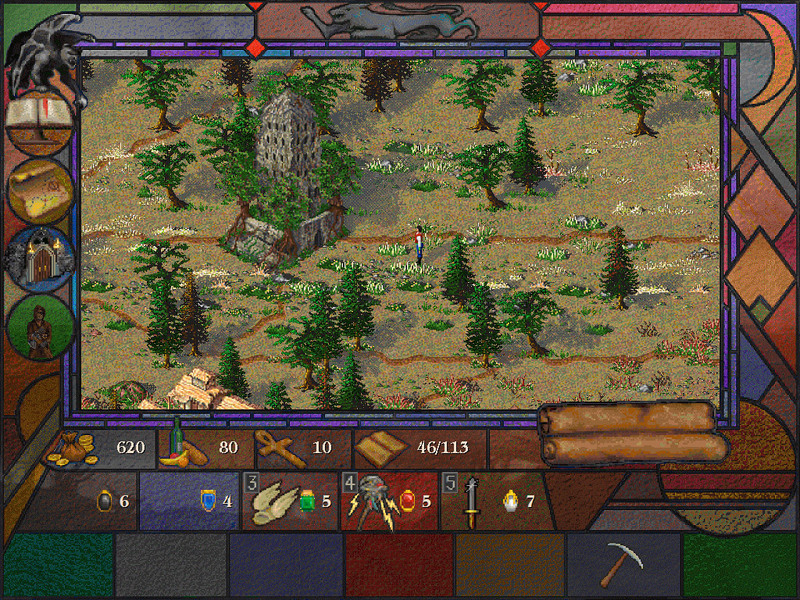 As I said, it was released in 1997 by MicroProse, at a time when the once legendary game company was struggling. 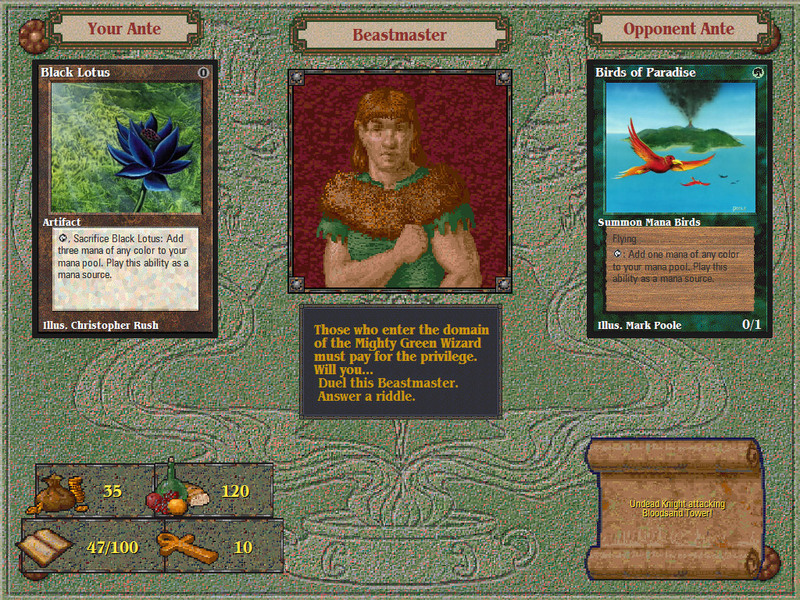 They put their most famous programmer’s name on the project, Sid Meier, best known for Civilization. 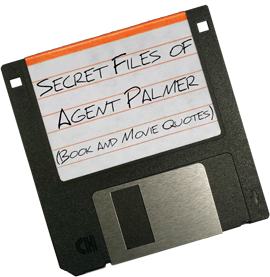 It would turn out to be the last game he created at MicroProse, before leaving the company to found his own studio Firaxis Games. Shandalar’s first incarnation came with four options for Magic players; Deckbuilding, Duels, Tournament Play and the Single Player RPG mode in the World of Shandalar. 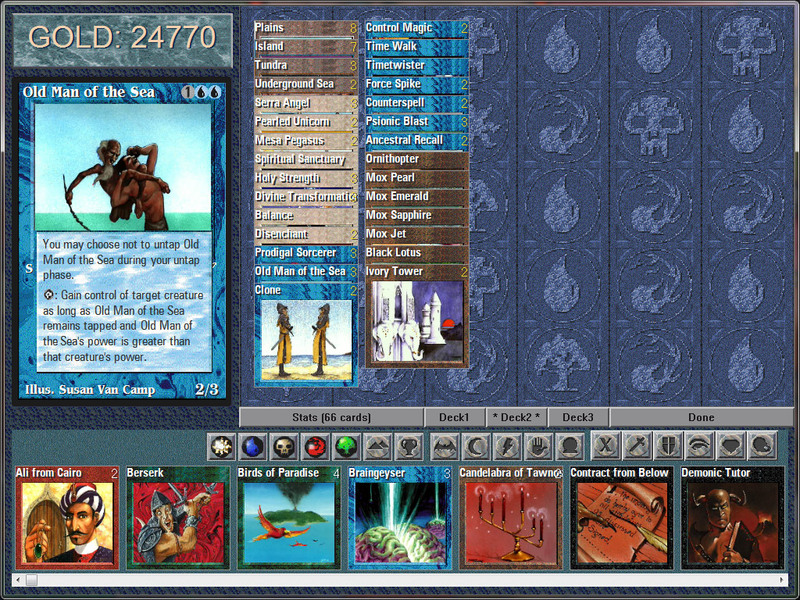 The Deckbuilding allowed you have free range of all 646 cards in the game, which consisted of 629 cards mainly from Alpha/Beta/Unlimited, with some additional cards from Arabian Nights, Antiquities, Legends and The Dark. 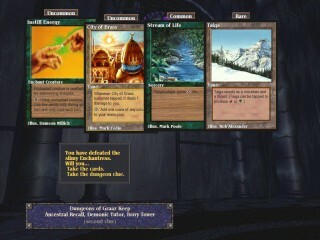 The game also included the five cards created from the Magic The Gathering Novels; Arena, Mana Crypt, Nalathni Dragon, Sewers of Estark, Windseeker Centaur, and Giant Badger, as well as 12 cards created for the game called the Astral set; Aswan Jaguar, Call from the Grave, Faerie Dragon, Gem Bazaar, Goblin Polka Band, Necropolis of Azar, Orcish Catapult, Pandora’s Box, Power Struggle, Prismatic Dragon, Rainbow Knights, and Whimsy. 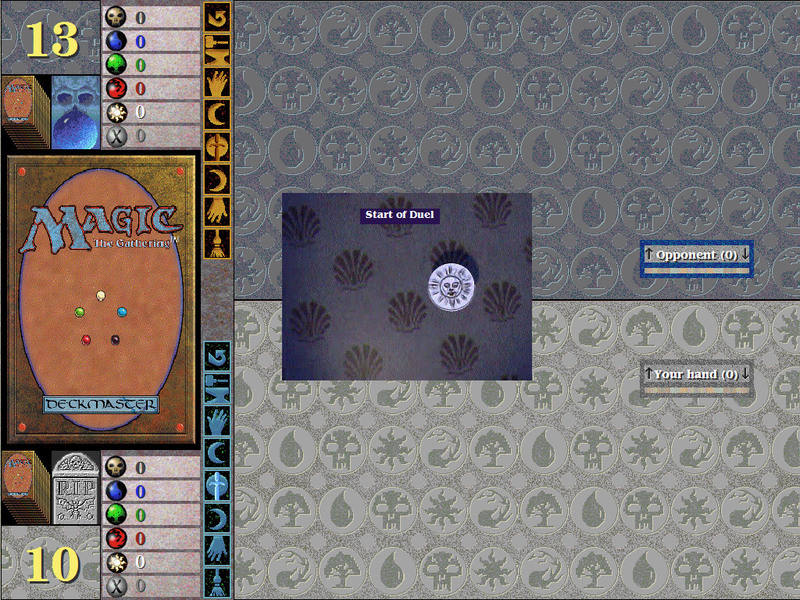 The Astral set cards had abilities that could not be used in the real game without logistical nightmares, such as random effects. This made these cards simultaneously great and scary at the same time. 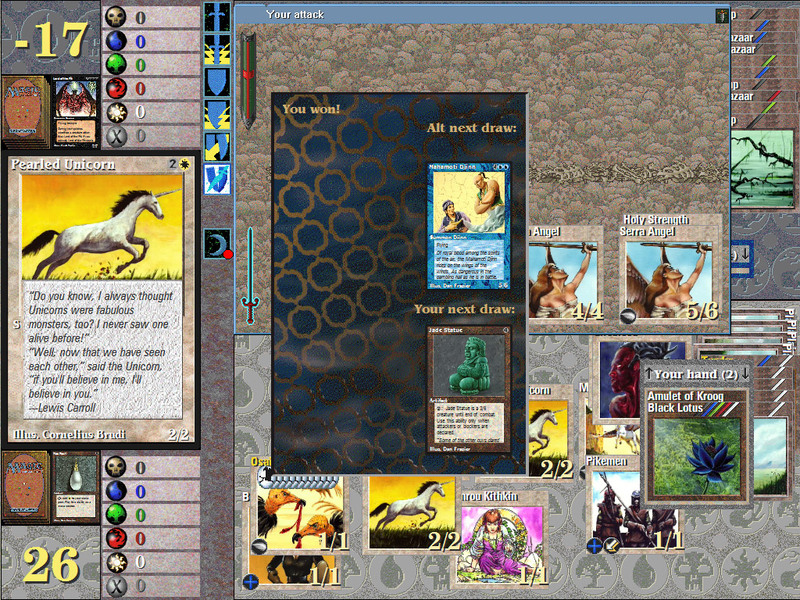 The duels and tournament play allowed you to play with any deck you built, or the pre-made decks that came with the game, against any one opponent, or you could run the gauntlet and play a tournament. All of that was great for testing out new strategies before you went to the game store with your actual deck, although it didn’t include some of the newer sets like Visions (1997), Mirage (1996), Alliances (1996), Homelands (1995), Ice Age (1995), or Fallen Empires (1994). 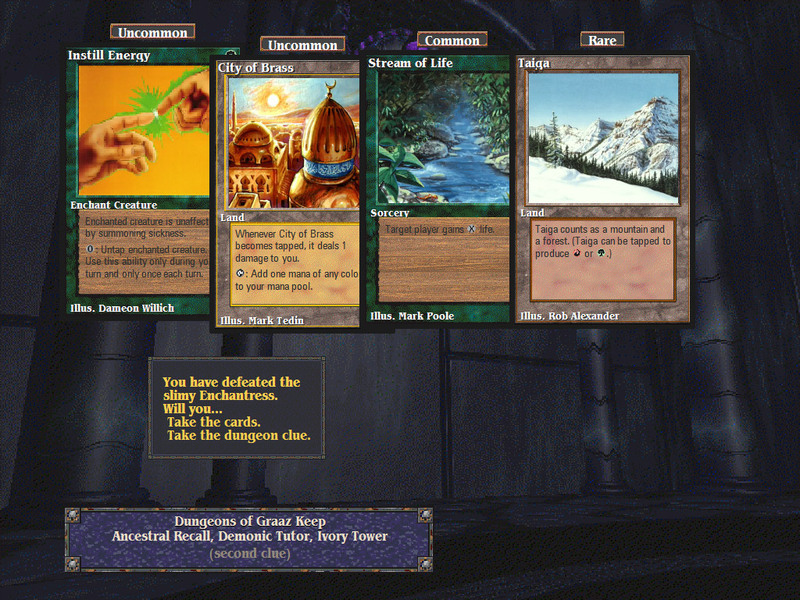 However, it did allow you to easily play with the Power Nine, as well as, such rare cards from early expansion sets; Ali from Cairo, Old Man of the Sea, Psionic Blast, Juzaam Djinn, Berserk, Drop of Honey, Bazaar of Baghdad, Diamond Valley, Island of Wak-Wak, Library of Alexandria, and all of the original Duel Lands. 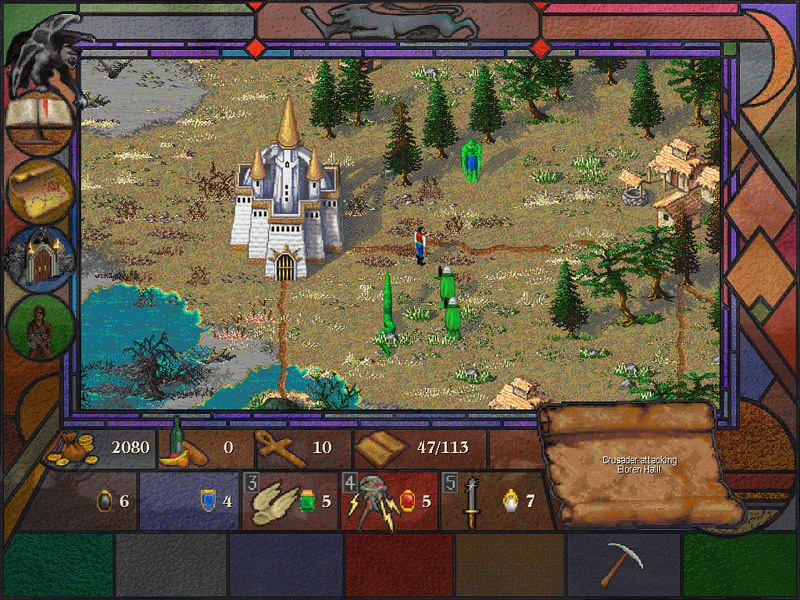 But the best thing about Shandalar was the single player mode, based in the land of Shandalar, where the roleplaying elements of inventory, gold, towns, dungeons, random battles, and character progression created a wonderful mix of Magic the Gathering and RPG. 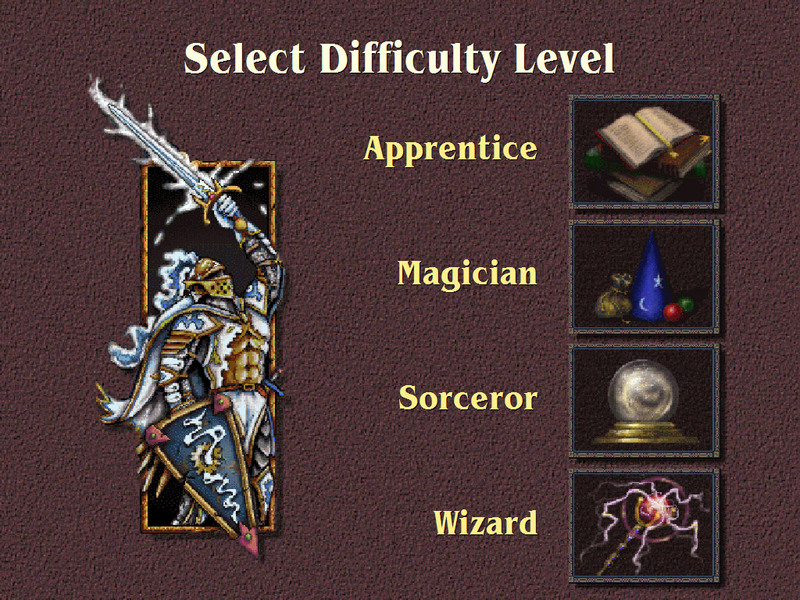 In the singleplayer mode of Shandalar were four difficulty levels; Apprentice, Magician, Sorcerer (spelled Sorceror), and Wizard. 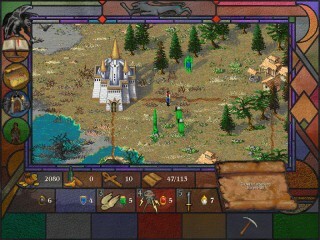 Then you selected your starting color; Red specializing “in the violence of Chaos and Combat,” White with a focus “on Healing, Protection and the Chivalrous arts of war,” Black with the power coming “from death and decay,” Green with magic that “can bring both soothing serenity and thunderous destruction,” and Blue which “thrives on mental energy, artifice and illusion.” Really, that’s no different than how the game was, before the colors got jumbled together in the weird vortex of the Time Spiral expansion Planar Chaos in 2007. 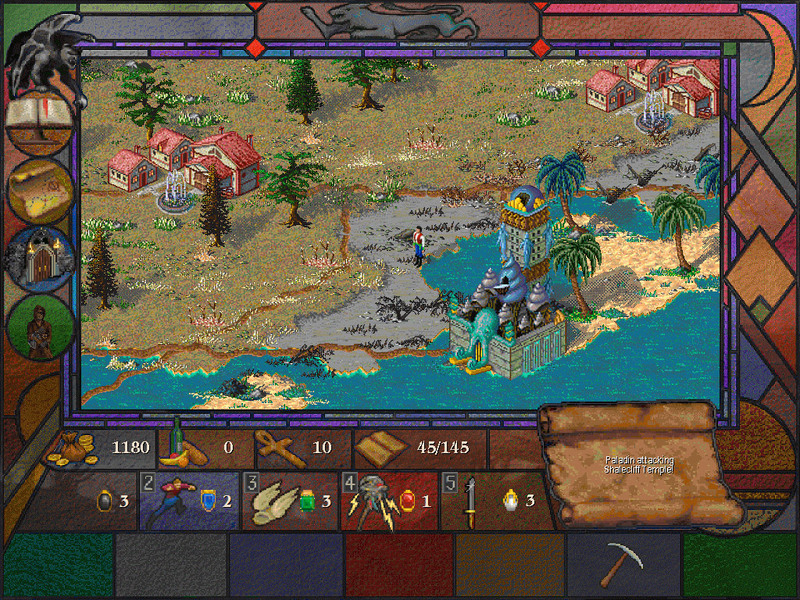 Back to the game, after you selected your difficulty and starting color, you could create your character’s look, then you give your character a name and you’re put right into the world map of Shandalar. The color you choose for your character allows you to walk faster through those parts of the map. If you select Green, you can walk faster through forests than if you had picked Red, and so on. It also decided the base starting deck you would begin the game with, although you could change your deck as you gained other cards. 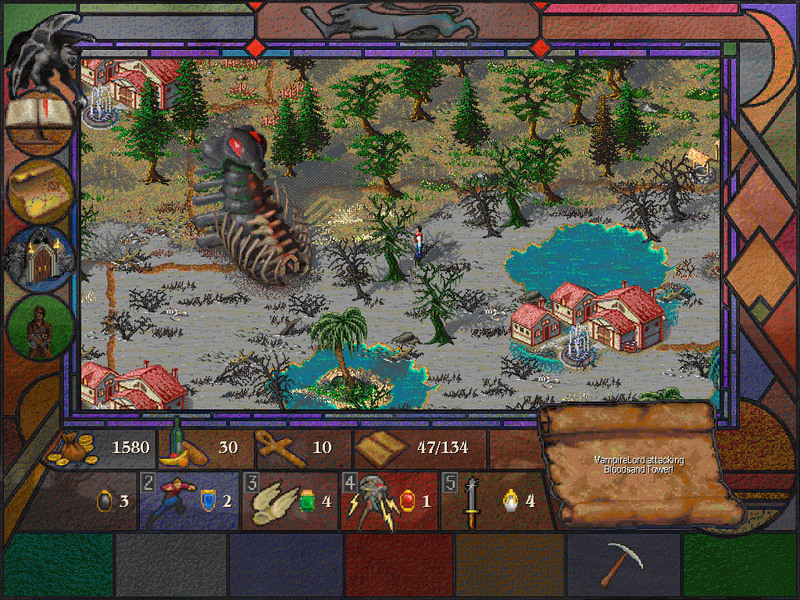 There are over 50 enemies running around the world of Shandalar waiting to take you down. 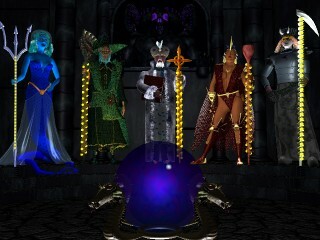 They are either minions of one of the five Wizards (one for each color), or they are Mercenaries on their own. Either way, every duel is played for ante. 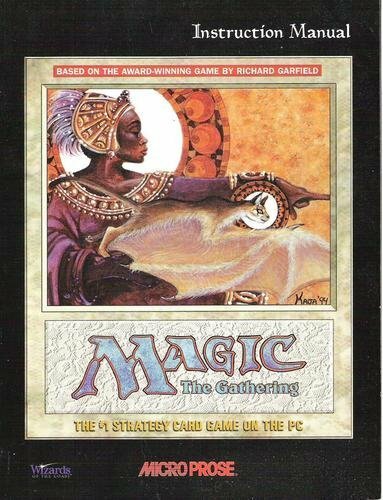 Now, for those of you who are new to the game or have forgotten, back when Magic was a young game, almost all players played ante games and there were even ante cards, no banned in all tournament formats, as the original Alpha rules prescribed that all games were to be played for ante. Of the nine ante cards that exist in Magic the Gathering only seven are in the game, because two; Amulet of Quoz from Ice Age and Timmerian Fiends from Homelands, were in sets not included within the game. 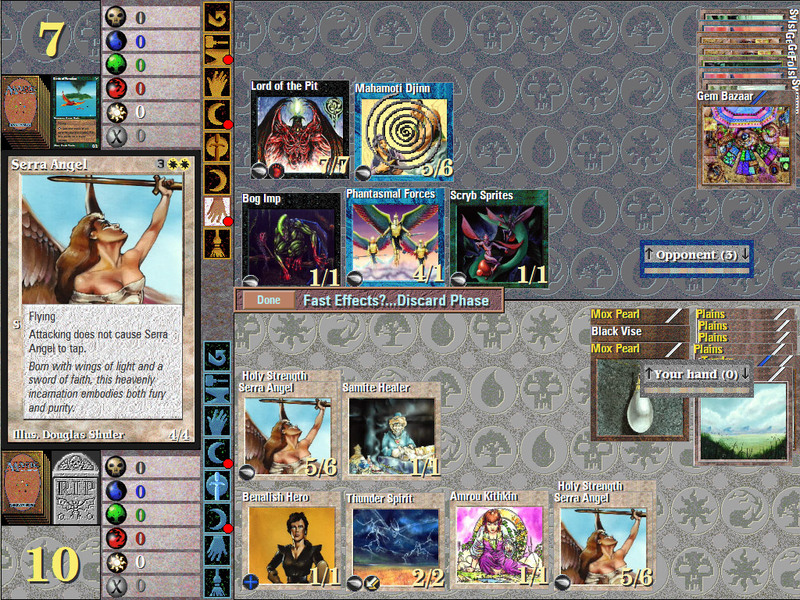 Playing for ante is simple, before the game each player puts the top card of his deck aside and the winner of the game gets both cards. Shandalar works on the ante system because playing a few duels can net you quite the collection of cards to build a better deck with, or to sell for food or even to buy other cards, again to improve your own deck. After each random duel outside of dungeons and castles, you will be give a choice to take some additional cards or take a dungeon clue about the location and creatures within a dungeon that contains some rare cards. 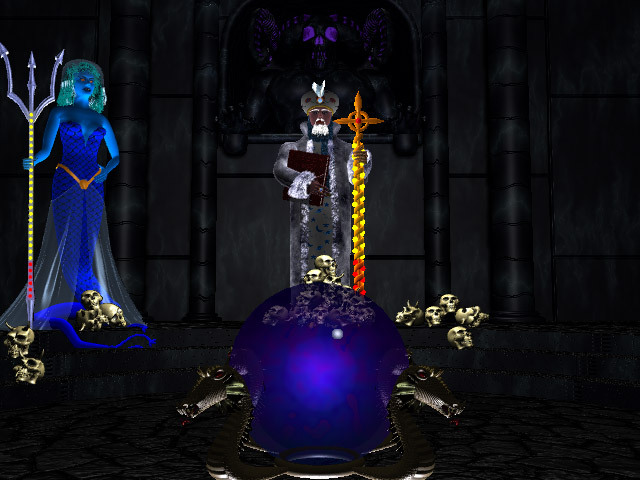 The dungeons are hidden until the first clue about them is taken. Early on, it’s better to take the cards, to use or to sell, but once you have a deck you’re happy with and plenty of food and money, go for the clue and go after the rare cards. 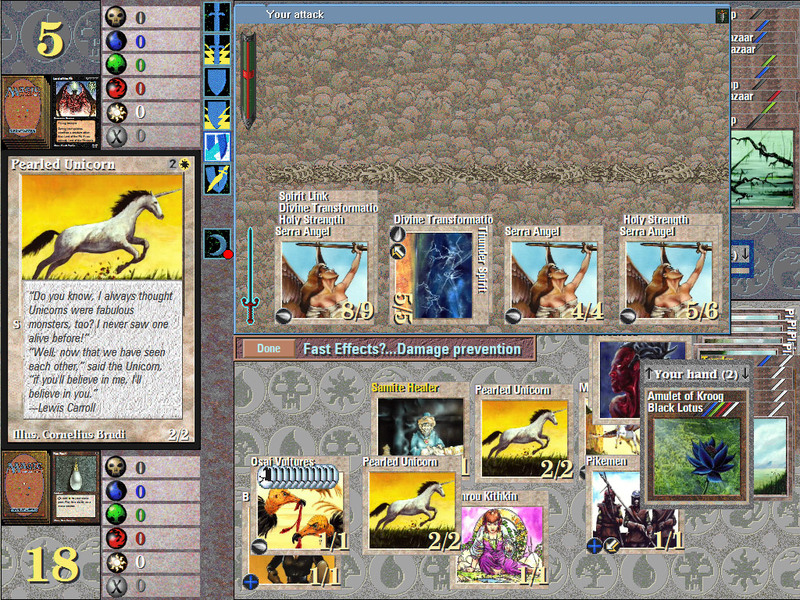 You also have the option of not dueling in these random battles. 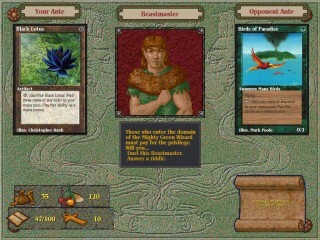 You can pay off your enemy to avoid a duel or answer a riddle, and later in the game, when they fear you, they will give you tribute of a card, gold, food or information on another creature’s deck. The riddles are questions about what is the total casting cost of X, which of the following costs X Mana, what is the power or toughness of X, or which of the following has X ability. Every so often one of the five Wizards will send one of their minions to attack a town. You don’t get the choice of a riddle or to pay them off, you have to face the creature and save the town. 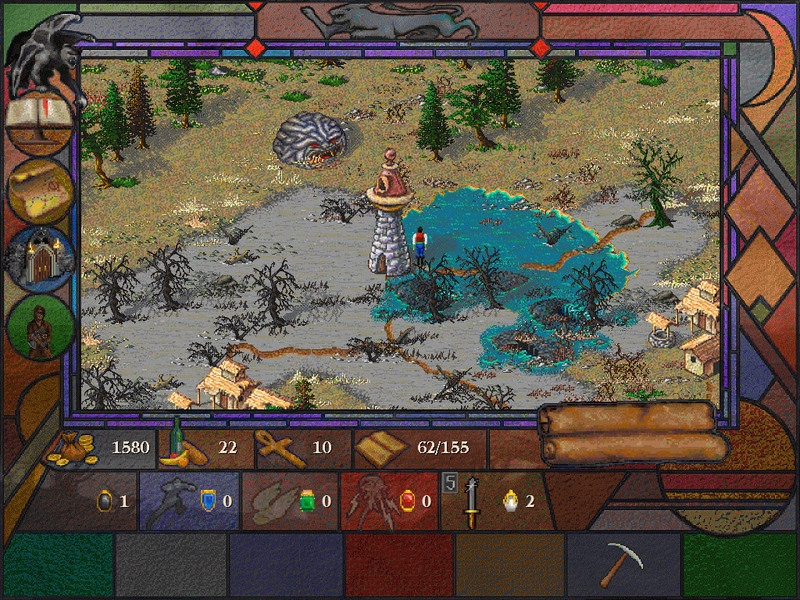 Also, while trekking across Shandalar things will appear; Mountains, Forests, Swamps, a ship, or and an Arena. These are wildcards, as I like to call them, so you could end up getting a free card, or being offered a battle for rare cards, or even being able to buy cards with money or amulets. These wildcards, so to speak, are tied to the Wizards of Shandalar. If you defeat the Red Wizardess you won’t see any Mountains appear as wildcards. The Wizards of Shandalar aren’t hiding. They are chilling out in their respective castles. Castles are just like the secret dungeons you can uncover. You wander through the hallways, answering riddles or picking up extra life or the added bonus of starting with a random card from your deck in play and picking up treasure. Of course, there are also creatures that may stand between you and the wizard or treasure you seek. 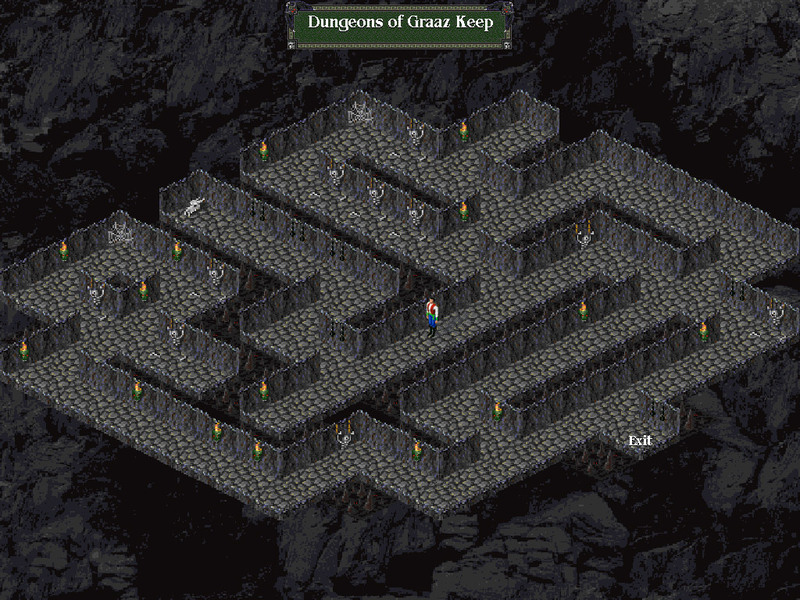 Pay attention when you go into these dungeons or castles. Sometimes a card will be in effect or loss of life will be carried over from one duel to the next until you clear the dungeon or castle. When you empty a dungeon of its treasures, you get the treasures, but it’s different when you defeat a Wizard. When you defeat a Wizard or Wizardess you see the message “You have defeated the dreaded [color] Wizard (or Wizardess). No longer shall his (or her) evil creatures oppress the good people of Shandalar. You may take any three different [color] cards.” Now, this means a few things; number one, no more wildcards and also no more creatures from that color will attack you in random battles. 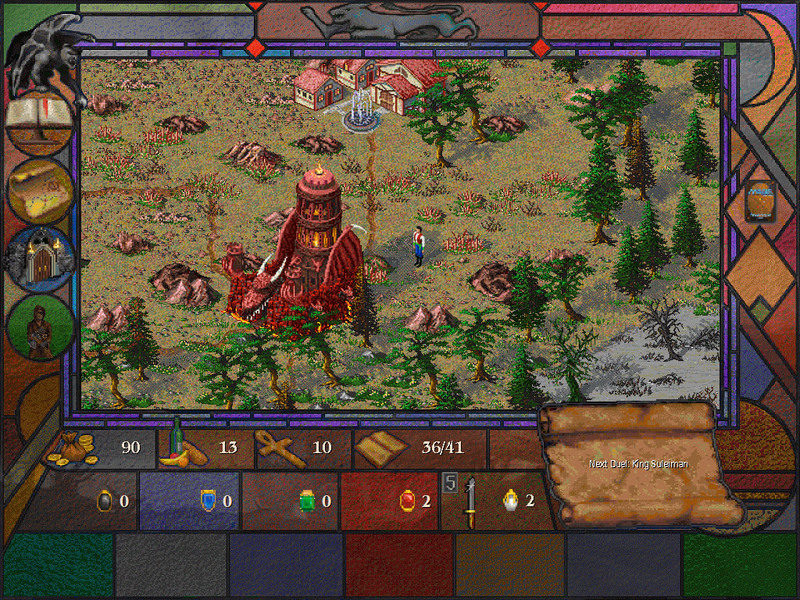 Lastly, you won’t have to save any towns from that color’s Wizard, because the Wizard is taken out. 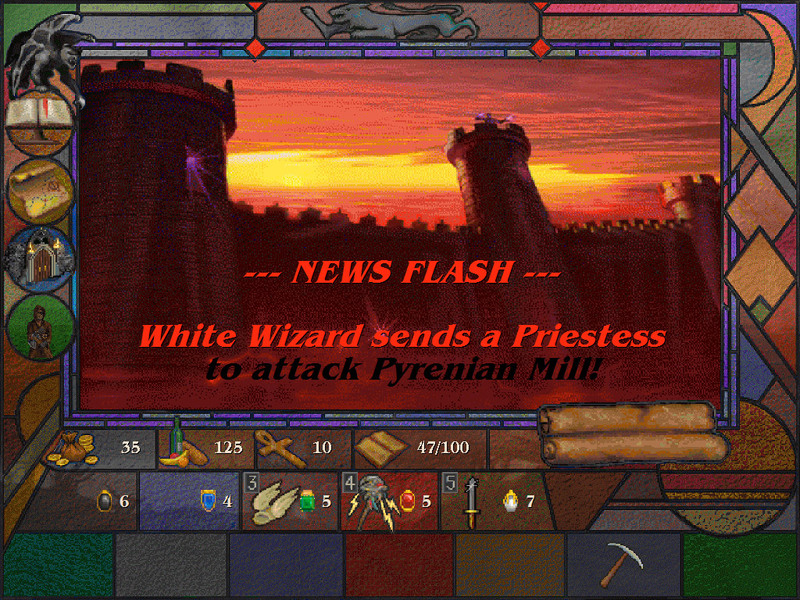 Defeating a Wizard, effectively removes that color’s monsters and the wildcards from the game. You have defeated all five Wizards! Shandalar is free! 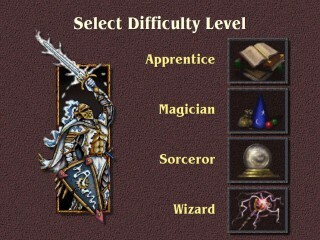 Once you defeat all five Wizards and you get a message that says, “You have defeated all five wizards! Shandalar is free! Prepare to face the final challenge. Your battles so far will banish the evil Plansewalker Arzakon for 1142 years. Each life it loses in the Final Battle will banish it for 10 additional years. 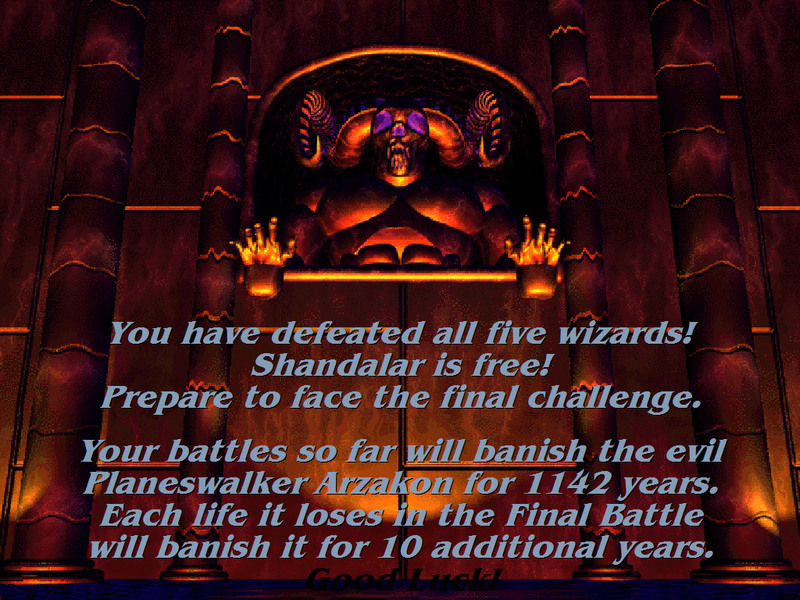 Good Luck!” Arzakon is a behemoth with 100 life, with a five color deck that isn’t really that great. But since you’ll start with the amount of life you had when you finished off the last Wizard, it can be challenging being at such a disparaging life disadvantage. Still After the duel you will receive the message, “You have protected the plan of Shandalar for the next X years. The people rejoice! Life is good!” And if you’ve got a well refined deck, that number can be 2242, meaning you will have completely defeated Arzakon and his 100 life. 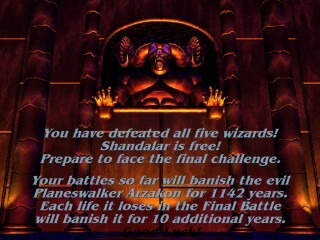 After that you will get to see your stats; how you fared vs all the creatures of Shandalar, what world magics you unleashed, how many cities you saved and how many you recovered, as well as, you quest record, overall win loss total and the journal of your entire adventure throughout Shandalar. I didn’t have to do that math, as easy as it may be to multiply 10 by 100 and add it to 1142, because I defeated Arzakon. For the sake of this post I played through the game on the two medium levels with each color. 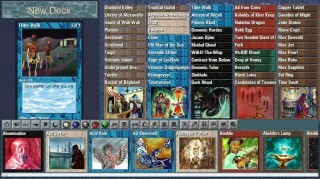 What I found was that not only is it great fun to play with the original Power Nine and other old school cards, but in Shandalar a Blue White deck based on control with Old Man of the Sea, Clones, Serra Angels, Prodigal Sorcerers, Divine Transformation and Holy Strength can destroy everything. 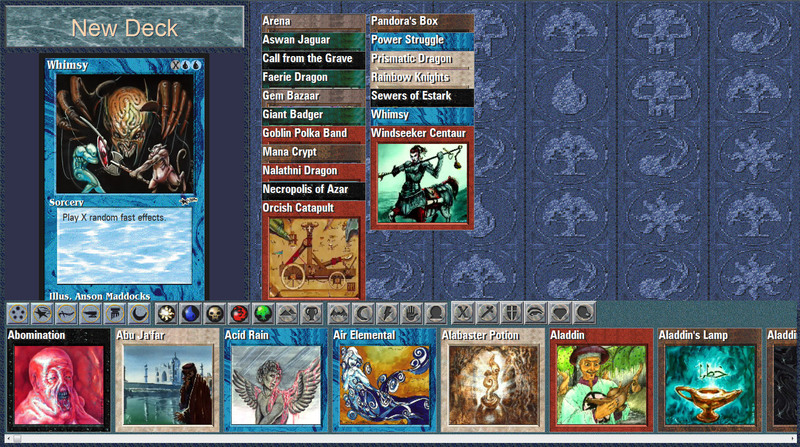 Especially when you can add some Moxen, Black Lotus, Ivory Tower and Black Vise into the mix. Of course, many will question some of those cards, and the fact that Vesuvan Doppleganger doesn’t appear, is probably a crime to other some. Well, the truth is, for as great a game as this is, there are some card mechanics that are complicated within the game, and Vesuvan Doppleganger is one of them, For some reason, even with a stop during the Upkeep phase, it skips the choosing of another creature to copy, so I just skip it. Anyway, there are two reasons I love this deck, first it works, really well and second there is no earthly way, without hitting the lottery, that I could afford to play with four Moxen, three Psionic Blasts, two Old Man of the Seas, two Ancestral Recalls, a Black Lotus, a Timetwister, and a Time Walk. But that is the beauty of the game. 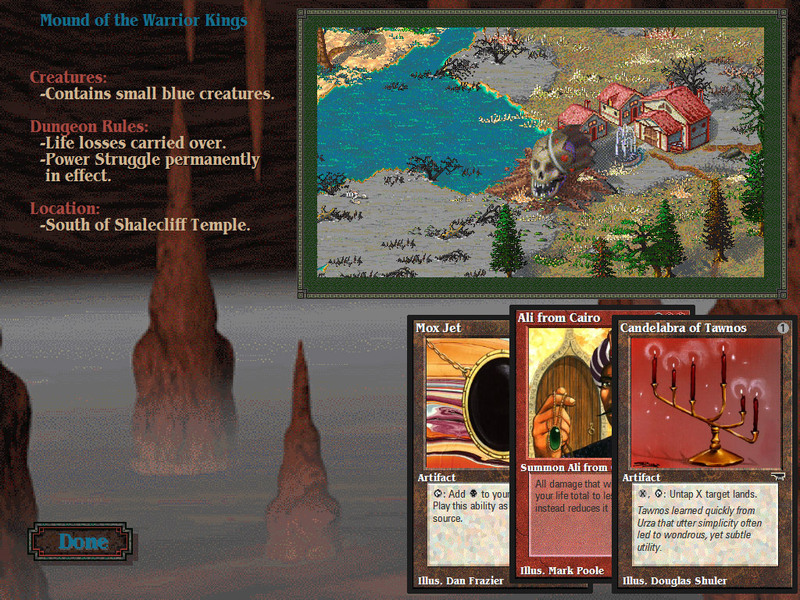 You can play with those cards and it only costs you the price of the game as a whole, which can be found on plenty of abandonware sites, throughout the internet. 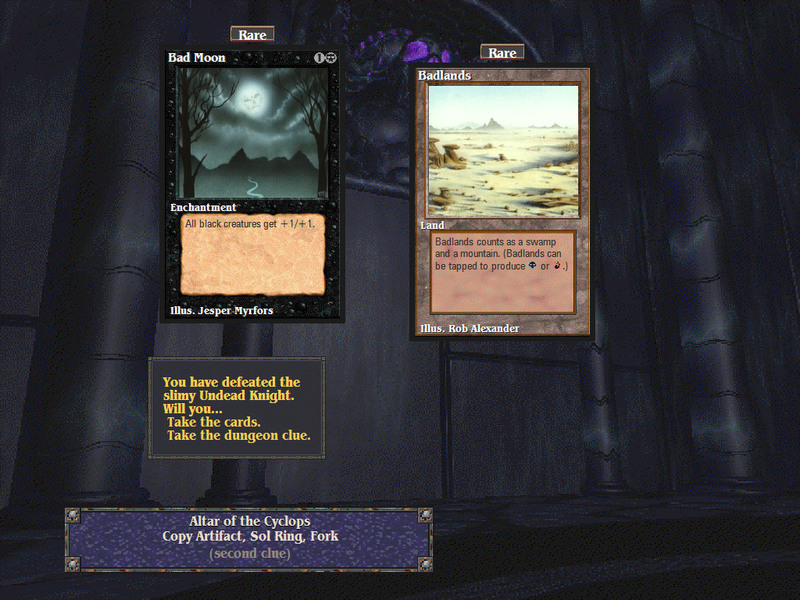 There were expansions to the game, cleaning up some of the mechanics and adding in some of the newer sets and artwork, but this is the Magic from when I started playing and flaws and all, I am quite happy with the original incarnation, which was gifted to me way back in 1997. Seriously, not bad for a game that’s 18 years old! Obviously, I have no qualms about playing Magic digitally, so why not make an attempt at Magic the Gathering: Online? Because if I’m going to buy cards, I want to hold them in my hand. And if I’m going to play an actual person, as opposed to a computer, I want to sit in the same room with them. It really is that simple. But Magic the Gathering: Duels of The Planeswalkers a.k.a. Shandalar, was the forefather to MTG:O, that cannot be denied, because the first expansion to the game had ManaLink, which allowed you to connect via modem, yes this was current technology or the time, and play against an opponent online. All in all, it’s a great game that holds up well, in spite of a few mechanical flaws within the game. 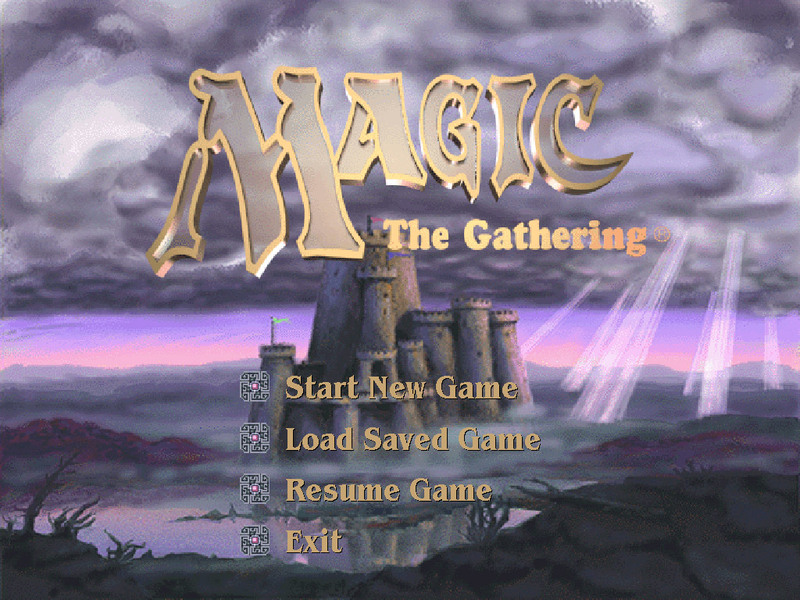 If you’ve played it before, you’ll enjoy playing it again and if you never played it before or started playing Magic after the Urza’s Block, it’ll teach you about the roots of Magic: The Gathering, through the playing of cards that are real, but so rare, they have become more lore than legacy. Ahh yes, good times. I wish I could play this game again.